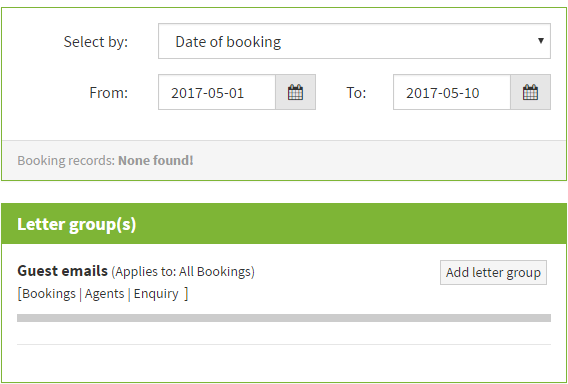 Help CentreUsing SuperControl Managing guests, emails and auto correspondenceCan I add automatic emails to pre-existing bookings? 4. Click Add letter group. 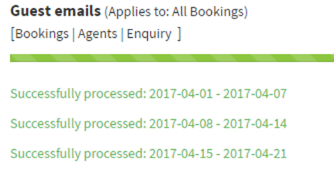 Warning: Please ensure you have all schedule settings for your letters correct before adding to pre-existing bookings to avoid any errors. Prev: Can I limit automatic emails for certain properties? Next: How do I hyperlink text in an email?